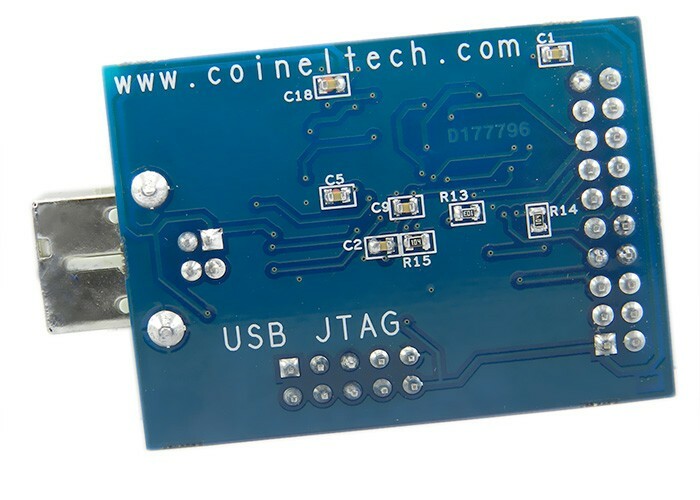 CoiNel ARM-USB-JTAG is Compact USB JTAG in-circuit debugger and programmer designed for ARM cores. Channel A: USB to JTAG interface. 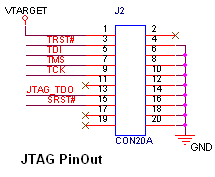 A standard 20 pin JTAG interface connector option is provided which can be used to connect the target board to debug/programming. 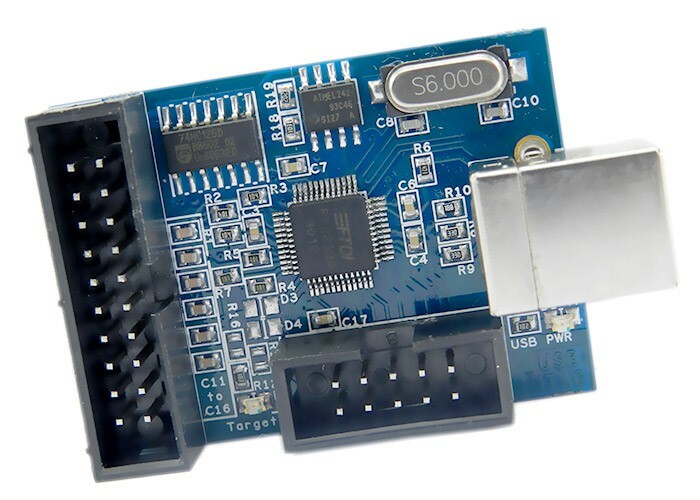 The CoiNel ARM USB JTAG can be used to access the on-chip debug module integrated in the ARM Chip. 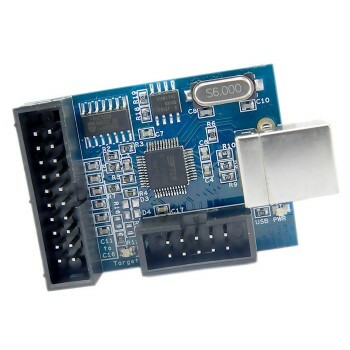 The programmer can debug the firmware in real time using the module. 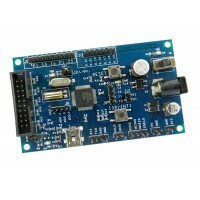 The board also has an option for USB to Serial Converter(TTL Logic). 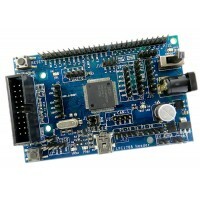 You would need the driver to be installed for FT2232 to use the USB to Serial module. Note: The power source for USB to RS232 is via Target supply. For Linux, the driver is a part of the kernel. For Windows, the driver needs to be installed after which this module can be used as a virtual COM port. No power supply required, powered through USB. ARM’S standard 2x10 pin JTAG connector. 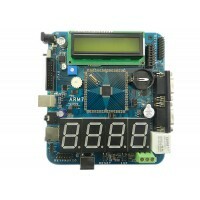 Can be used with all ARM for device programming and debugging (Check Compatibility details below). Led for Power supply and Target detect. Tested with Keil RealView MDK 4.03 and Rowley CrossWorks 2.0. Can be used to debug and program all ARM processors supported by OpenOCD. PCB: FR-4, 1.6 mm, Blue solder mask, white silkscreen component print. Keil RealView MDK 4.03 or higher (Need CooCox Colink Plugin) tested with Cortex-M3 boards. 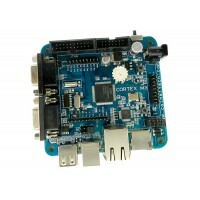 Rowley CrossWorks tested with ARM7 and CORTEX-M3 boards. More detailed tutorial on how to use CoiNel ARM USB JTAG is available in videos, article and download sections.